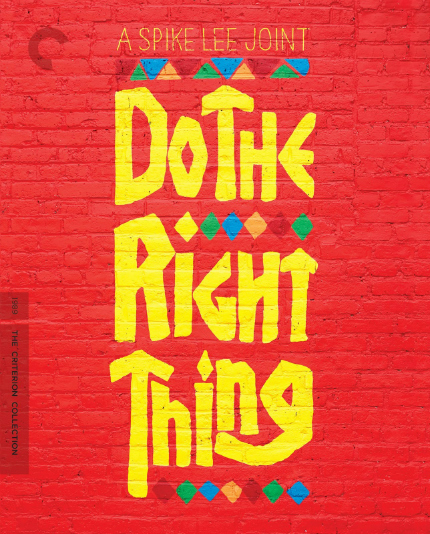 Thirty years ago, I was living in Brooklyn and that summer, things were blowing up when Spike Lee's Do the Right Thing furiously raised the heat. Now the incendiary drama is heading to a new edition on the Criterion Collection in July 2019, which is kinda mind-blowing in its own right. That's not all, of course. For those of us who love 70s cinema, Alan J. Pakula's Klute will appear on Blu-ray for the first time. In its day, it was mind-blowing simply in concept: Jane Fonda stars as a prostitute (or, call girl) with Donald Sutherland as a private detective investigating a mystery. Fonda is fully in charge, a strong woman in a time when strong women on the big screen were not in vogue -- are they ever, really? -- and gives an indelible performance. I wonder how it will play today? Here's another strong woman; quoting straight from the official verbiage offered by Criterion: "Agnieszka Holland's Europa Europa, a breathless adventure story set amid the chaos of World War II, will appear in a new 2K restoration." Again, I have not seen the film in years, and I look forward to a revisit. Appearing in a new restoration approved by renowned cinematographer Roger Deakins, Michael Radford's 1984 is not a drama that I particularly enjoyed, so perhaps the new restoration will reward another viewing. One film I haven't seen in this group of releases is Marcel Pagnol's comedy The Baker's Wife, which will be available in a new 4K restoration. Finally, returning to the Criterion Collection is Rainer Werner Fassbinder's fantastic BRD trilogy, including The Marriage of Maria Braun, Veronika Voss and Lola. Once more, I admit that I have not rewatched those films in years, so watching them in glistening new editions should be enlightening and/or terribly depressing to contemplate the early loss of a remarkable auteur. So does the mere thought of July 2019 cast a pall upon you? Buck up and buy some Blu-rays and/or ask your friends to buy them and invite you over for a Criterion viewing party. Read more at the official Criterion Site.